The other day I was on the subway reading on my Kindle “My Struggle: Book 1” by Karl Ove Knausgaard. I was reading about the birth of his daughter Vanja . When I cam across the following sentence , There has never been so much future in my life as at that time, never so much joy I choked up and just wanted to cry. No, I wanted to sob. I kept myself together because I was on the subway and did not want to be that crazy woman you sit next to during rush hour. The author stuck a deep chord within me. This was how I felt with the birth of my son Ale. I remember his birth as the happiest moment of my life. I felt nothing but joy within every fiber of my being. I could then feel the future. I felt that I could see my family’s future 5, 10, 40 years from now within this little being. It was like time suddenly made sense. Everything clicked into place. Then suddenly I understood how precious time is. My quest has since to preserve the present so that I and hopefully Ale would be able to look back and remember the details of our days together. My obsession with time in the last year has been so strong that I began this blog, and began journaling obsessively. I’m turning into a scrapbook, mommy blog loving, art journal freak. In my free time you can find me scoping the isles of craft stores looking for washi tape and gesso, pouring over blogs here on WordPress catching up on the mommy blogs I love and pinning images of scrapbook and journal pages on Pinterest. This sudden burst of the desire to create something each day here on the blog or a drawing within my journal pages stems directly from the birth of Ale. I know it sounds crazy and far fetched but its the truth. The joy that Ale brings is immense and I need to do something with the energy that it produces. To bottle it. I savor my moments with him by writing and journaling and subsequently sharing with my family and on the internet with this blog. My little son who was a baby is now a toddler and is growing so fast. So fast that I wish I could press the pause button for just an hour. I can not even remember what he looked like a year ago. I swear when he wakes up from his naps he is a bit taller, and says and does new things. I see his baby photos and I wonder who that tiny person was. It does not look like my son. 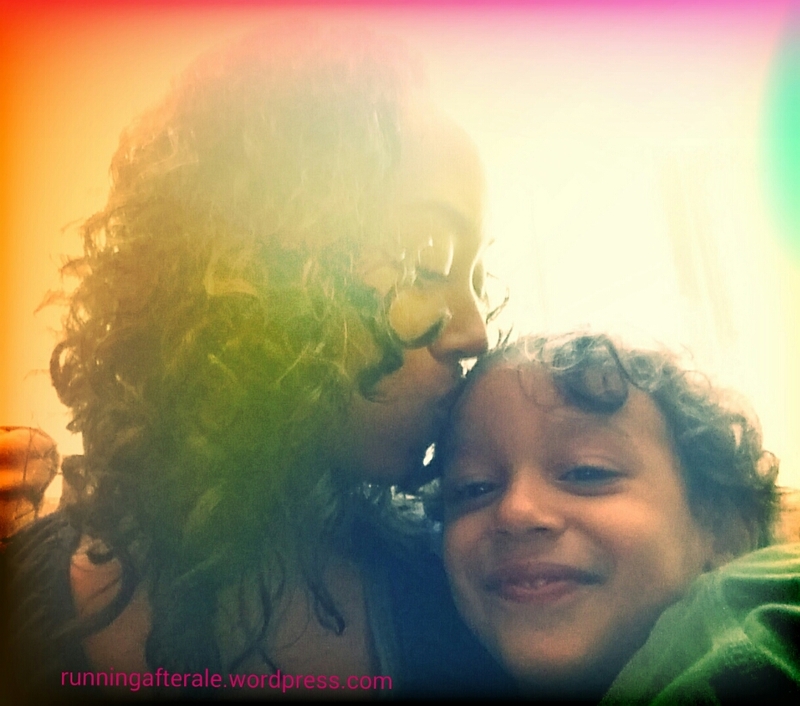 My son is the tall skinny boy with tossled curls who talks and dances, and sings, and runs, and jumps and laughs. Oh does he laugh! Not that baby frozen forever by the click of my iphone in a rocker. I will say the same thing a year from now. Ale will be doing even more and my heart will grow even more for him. I want him to grow. I want to see what kind of man that he becomes but I want to hold and remember each moment of each phase. Time is against me. So I take my photos, write this blog, and create a journal page. Its Tuesday, my day off from work. My day with Ale. This is the best day. I want it to go on forever. There has never been so much future in my life… never so much joy. Thank you Ale. Thank you.